The boundaries of Sauk County were established by the State of Wisconsin in 1849. At that time, six townships were created. They were called: Baraboo, Eagle, Honey Creek, Prairie du Sac, Brooklyn, and Kingston. At one time, this area was known as the Upper Baraboo Valley and Hay Creek Valley. Over the next few years, further divisions were made in Sauk County. In November 1852, the Town of Winfield was named in honor of Winfield Scott. Winfield Scott (1786 – 1866) was a US army general and presidential candidate of the Whig party in 1852. He commanded forces in several wars and served on active duty as a general for 50 years. According to area history books, in 1849, Alexander Locke and his family moved from Reedsburg to the wilderness where he built a log house, the first structure in the town. This was close to the southern town line. The first person born here was his daughter, Harriet Locke in 1850. Another daughter, Phoebe Locke, was the first death in the town also in 1850; she is buried in Greenwood Cemetery in Reedsburg. Within a few years, many settlers of many nationalities and religions lived here. Winnebago Indians also occupied this area. The first crop was supposedly planted in June 1849. The first hop roots were planted in 1852. A Town of Winfield resident, Jesse Cottington, introduced hop roots to this area on a farm along Skinner Road. Hops are used to brew beer. When others saw how successful the hops were, many farmers started growing them. The best years were 1866 and 1867. The hops allowed many farmers and merchants to prosper until the crash of the business in 1868. The town board paid individuals $5 a year to maintain public watering troughs in the late 1890s. A major expense for the town in the late 1890s was constructing bridges. 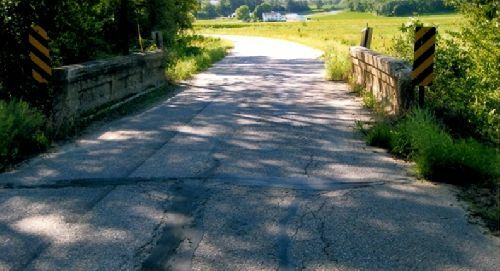 Two bridges were mentioned costing $400 each with Sauk County paying half the cost. In the late 1890s, town residents recorded with the town board the “mark” or “brand” they used on their animals, including turkeys. In the late 1890s and early 1900s, town residents reported to the town board when they found stray pigs on their property and when they kept them. In 1901, the town board instructed its chairman to vote “no” to building a new Sauk County courthouse. In 1911, the State of Wisconsin started a program in which a portion of state income tax was returned to the local governments. This program evolved into the Shared Revenue Program in1973. Shared revenue funds are the state’s fourth largest general fund program, a program which provides town residents with property tax relief. The program is now called Municipal Aid. In 2018, this amounted to almost $16,000 for the town. In the 1930s, the town board started paying the Reedsburg Public Library a fee ($30) so town residents could use the library in the City of Reedsburg. Electricity was put in at the town hall in 1941. In 1943, the Town of Winfield voted to join with four other towns to purchase a fire truck. Starting in 1945, town officers were elected to two year terms instead of one which is still the practice at present. From 1958 through 1967, the town paid residents a tax bounty for every fox caught, usually $2.50 for each fox. Some residents remember being paid for moles also. In 1972, the Town of Winfield purchased the Hay Creek School building and its furnishings for $400 from the School District of Reedsburg. In 2016 and 2017, the town board sold the old school desks, benches, book cases, and other items from the basement of the town hall. Most of the items were removed from the town hall basement and the area was cleaned, repaired, and painted. Lexan glass was installed over the current basement windows and a fan was installed to control the moisture in the basement. The Town of Winfield adopted the Sauk County zoning ordinances in 1963. In 1966, the town held a referendum to issue liquor licenses in the town which passed. In 1969, the Town of Winfield paid the City of Reedsburg to use the Reedsburg city dump; residents hauled their own garbage to the dump. The Reedsburg Municipal Airport is now built over the city dump. In 1970, the Reedsburg Extraterritorial District was established. Lighthouse Rock Campground operated in the 1970s - 2006 along County Road V. This site is currently Lighthouse Rock Subdivision. In 1972, the town board decided to sell its first town hall at the intersection of County Road F and Old Town Hall Road. The decision was made to move to a bigger building that was in better condition and had room for parking. Gordon Craker’s bid was accepted for $1,170 and the building was sold. In 1972, the town board made a motion to move its voting booths to the Hay Creek School from the first town hall. In 1974, the town board voted to construct a room in the town hall basement to be used for storage of town records. The room proved to be too damp and mold became a problem. In 2010, the room was cleaned out and sanitized. Many of the old records were duplicates or unneeded, and were destroyed. Also in 1974, the town board voted to construct a new outdoor restroom which was built in 1976 at an approximate cost of $2,700. The inside was painted again in 2014 after an incident of vandalism. A fence was removed from around the town hall in 1976. The Town of Winfield joined the Wisconsin Towns Association in 1976. This association consists of town and village governments to support local control of government and protect the interests of towns. The association provides legislative lobbying efforts, educational programs, and legal information. The outside of the town hall was painted in 1977, 1988, 1993, and again in 2012. The inside of the town hall was painted again in 2016 for $975. A gutter was added to the east side of the building in 2016; gutters were installed on the other sides in 2017. The town hall roof was replaced in 2009 at a cost of $7,900. Three layers of old shingles were removed, the chimney removed, and most of the soffit and fascia was replaced. A new furnace was purchased in 2009 for $2,334. Insulation was added to the town hall ceiling in 2010, along with putting in a new drop ceiling in the town hall entry. The project cost $1,310. Blinds were added to the town hall windows in 2012. The faded wooden town hall sign was replaced in 2013 with a two sided aluminum sign for $250. New chairs were purchased for the town hall in 2013. A new flag pole was installed in 2015. In 2014, the State of Wisconsin placed a dangerous person in a home on County Road WD. Several residents were concerned about the safety of the community. Several well-attended meetings were held to discuss this situation, as well as several news stories on Madison TV stations. The town paid over $3,000 to explore the town’s legal options in this matter. The person was legally placed in the home despite objections raised. Due to the dangerous person’s actions, he was removed from the home in 2018. In 2007, the Town of Winfield worked with the Sauk County Conservation, Planning, and Zoning Department on a drinking water testing program; 25 wells were tested. The same program was offered again in 2014 when 36 wells were tested. In 2001, the Sauk County Board of Supervisors changed its supervisory districts. The Town of Winfield was changed from one supervisory zone to two. Ward 1 included County Supervisory District #3 for residents located east of County Road KK, south of County Road F, east and south of Farber Road, east of County Road V, and east of Hirst Road. Ward 2 included County Supervisory District #4 for residents located west of County Road KK, north of County Road F, west and north of Farber Road, west of County Road V, and west of Hirst Road. In 2011, the Sauk County Board of Supervisors changed its supervisory districts again. The boundaries were changed to: Ward 1 included County Supervisory District #3 for residents located east of Hirst Road to County Road KK to County Road F to County Road K to the southern town line. Ward 2 included County Supervisory District #4 for residents located west of Hirst Road to County Road KK to County Road F to County Road K to the southern town line. The Meister Subdivision was started in 1980. Later in 1980, discussions were held on allowing no more subdivisions in the town. However, the Rolling Meadows Estates Subdivision was started in 1995, the Pelton Subdivision in 1998, Redstone Ranch Estates in 2006, and Lighthouse Rock Subdivision in 2008. Papers ballots were used at elections until 1984 when a punch card voting system was purchased. We switched from the punch card voting system to electronic voting in 2000. Accessible voting equipment was used for the first time in 2006. Sauk County updated its election equipment in 2015. Voter registration was also started in 2006. The town switched from the caucus system of finding board members to using nomination papers in 1994. From the 1850s through the 1970s, the town paid seven election workers at each election; the town board reduced the number of workers at each election to three in the 1980s. In 2015, a closet was built at the town hall to accommodate the new election equipment which could now be stored at the town hall instead of the clerk’s home ($529). In 2017, Duane (Dewey) Mittelstaedt built a top to put on the old ballot box to use with our election equipment. In 2018, James Dennis Hanger built a “crowd control barrier” to put in front of the election table. A copy machine was donated for use at the town hall in 2015; the town purchased its own copier in 2018. WRDB radio station erected a radio tower around Old Town Hall Road in 1990. The town’s mower was sold in 2016; all mowing will be done by the contracted vendor instead of the town owning the equipment. In 2016, a company asked permission to install a communication tower off Ekes Drive to provide wireless voice and internet services. Due to strong opposition from area residents and an issue with public access, the permit was declined. According to town board meeting minutes, the town board met in School District #3 into the early 1900s. The town board paid the school district for the use of its building. Into the early 1920s, the town board continued to meet in School District #3, at a bank in Reedsburg, and at the homes of town board members. The first town hall was built on the corner of Old Town Hall Road and County Road F; this building still stands today. In 1972, town board meetings were moved to the current Winfield Town Hall. The following family names have been in the town since the 1800s until the present: Biesek, Churchill, Craker, Farber, Fish, Fuller, Greenwood, Horkan, Jackson, Leonard, Mittlesteadt, Pelton, Schyvinck, Strutz, Wachholtz, Wagner, and Ziech. It should be noted, we have not traced the family genealogy, but are just noting that these family names of our first settlers are still around in 2018. 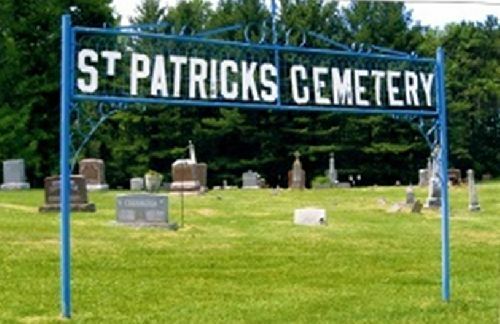 The center of the town is close to St. Patrick’s Cemetery at the intersection of County Roads K and KK. There is a survey point in the ditch along the cemetery which marks the center of the town. The boundaries of the town stayed the same until 2000 when a parcel along County Road K was annexed into the City of Reedsburg. From 2005 through 2009, more land was annexed along County Road K and Mittlesteadt Drive into the City of Reedsburg. The town purchased its first computer in 1998. A town newsletter has been published annually since 1994. A mandatory recycling program was started in 1992. The town’s web site was started in 2009. In 2018, the town board voted to contract for its own building inspection services rather than have the state appoint someone to do our inspections. The state requires all one and two family dwellings be inspected. In the United States, there are cities and towns in several states with the name of Winfield, including: Alabama, Illinois, Indiana, Iowa, Kansas, Michigan, Minnesota, Missouri, New Jersey, New York, Pennsylvania, Tennessee, Texas, and West Virginia. The Town of Winfield is home to the Jolly Beavers 4-H Club. They held their meetings in the town hall starting in 1944. The original club disbanded during World War II, but started again in 1949 due the efforts of Arlow Giles, Bertha Schyvinck, and Vinton Craker. The history of 4-H dates back to the Morrill Act of 1862 (also known as the Land Grant College Act) which established institutions in each state to educate people in agriculture, home economics, mechanical arts, and other professions that were practical at the time. Then the Smith-Lever Act of 1914 is a federal law that directed all 4-H clubs become an official function of the US Department of Agriculture directed through the land grant college system. This system was set up to inform people about the current developments in agriculture and home. The four Hs stand for head, heart, hands, and health. The 4-H pledge is “I pledge my head to clearer thinking, my heart to greater loyalty, my hands to larger service, and my health to better living, for my club, my community, my country, and my world.” The 4-H motto is “to make the best better.” Many residents of the town have been members of the Jolly Beavers as members, officers, leaders, and general leaders. Over the years, the town has had three homemaker clubs. The Winfield Progressives started in 1948 and disbanded in 201_. The Lucky 69ers started in 1969 and disbanded in 1996. The Hay Creek Honeybees started in 1981 and disbanded in the early 1990s. The clubs were started to give women a chance to see their neighbors and friends, to give them a little time away from their small children, and to share lessons presented by the county extension office. Lake Redstone, a man-made lake, was started in 1964. The Lake Redstone Property Owners Association was started in 1969 to promote the health, welfare, and safety of the property owners. The Lake Redstone Protection District was formed to help fund needed improvements to the lake. Although the lake itself is in the Town of LaValle, some parcels of land in the Town of Winfield are included in the Lake Redstone area. In 2008, the Department of Natural Resources (DNR) submitted a dam safety report to the Sauk County Land Conservation Department. This report required a dam failure analysis be completed. In 2009, the Natural Resources Conservation Service submitted to the Sauk County Land Conservation Department the failure study completed on the Lake Redstone Dam. assessed value. The analysis changed the floodway district boundaries. This area includes eight existing homes; five of these homes were already in the floodplain, but the boundary change added three more homes. The homes are located in the Town of Winfield, Town of LaValle, and Town of Reedsburg. In March 2011, the Natural Resource Conservation Service submitted a revised floodplain map. The dam was assigned a hazard rating of “high hazard” which means if the dam fails, it may cause loss of life and serious damage to homes or other structures regardless of the likelihood of failure. Wisconsin state statutes required that the new information be adopted into Sauk County’s Floodplain Zoning Ordinance. In December 2011, the Sauk County Board of Supervisors rejected the amendment after strong opposition was expressed by town residents. However, the state then had the authority to adopt the ordinance if the county would not. In March 2012, Sauk County approved a temporary moratorium on the development of land affected by the dam breach analysis. In 1969, the Reedsburg Outdoor Club moved their club grounds from the east side of Reedsburg to the Town of Winfield. The club purchased 28 acres of pasture, swamp, and woods along Luedtke Road. The Reedsburg Outdoor Club was formed to promote sound conservation practices and set a good example for others enjoying the outdoors. In the 1940s and 1950s, the club raised trout in a spring-fed pond next to a rock known as Lighthouse Rock (now the site of Lighthouse Rock Subdivision along County Road V). The trout were then planted in area streams. In the 1940s through the late 1960s, the club raised pheasants and released about a thousand pheasants each year into area fields. The original 20’ x 30’ club house was expanded in 1976 to a 40’ x 60’ club house. The outdoor club includes lighted trap fields, a field course, a hunting course, and indoor and outdoor archery. The club sponsors an archery and trap shoot event with individual and team competitions annually around the fourth of July. The club sponsors a couple annual smelt feeds to raise funds. The Reedsburg Outdoor Club sponsors hunter safety programs and a fishing clinic for kids. The club grounds have grown to 44 acres and the club has a current membership of around 300 members. The Town of Winfield is part of the Dell Creek Watershed. The watershed is a drainage basin for rain and melting snow draining into a body of water. The purpose of the watershed project is to protect and enhance the surface and groundwater resources. According to town records, in the 1850s, there were seven schools located in the Town of Winfield and four schools that were located in other towns, but jointly run with the Town of Winfield. Each school district had its own school board. These schools served students through the eighth grade. Area history books differ a little bit from town records about the school districts, but the following is what we have gathered. District No. 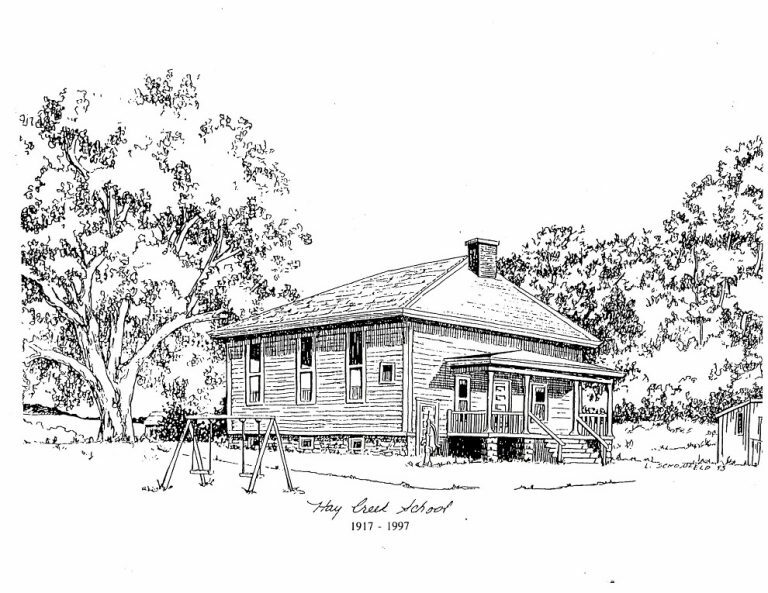 1 – the Hay Creek School started in the home of Alexander Locke. A 16’ x 16’ framed building was built in 1852. In 1867, a 20’ x 30’ framed building was built along County Road K across the road from the current town hall. The new school cost $850. After strong opposition, a new 28’ x 40’ school was built in 1917 for $3,000; this land was given to the school district to use by Spencer C. Fish. This building remained a school until 1962 when the Hay Creek School integrated into the Reedsburg school system. The town board bought the building from the school district for $400. Because the land was donated for school use only, the land reverted back to the Fish family when the school closed. After the town board bought the school building, they approached descendents of the Fish family and the family agreed to quit claim deed the land to the town. The building is currently used as the town hall at the intersection of County Roads K and F. In 2017, a town social was held to celebrate the town hall building being 100 years old. 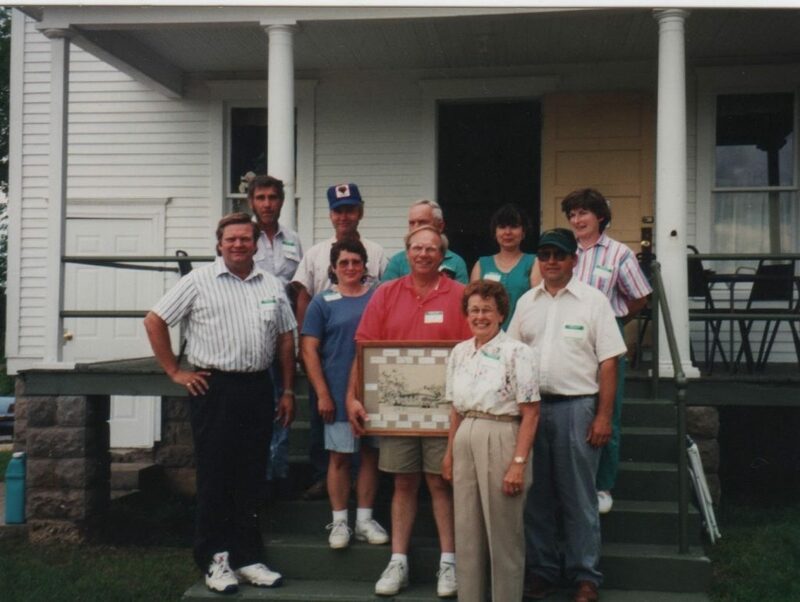 A reunion was held at the Hay Creek School in 1994 to reminisce about the days of the one room school. At the reunion, a special presentation was made to Elderene Halvensleben Hasz who started her teaching career at the Hay Creek School in 1952 after graduating from the Sauk County Normal School. In 1952, her first students included: Richard Bass, Hubert Churchill, Ray Cooper, Danny Dorow, Janice Dorow, Jim Dorow, Gary Fish, Lewis Fish, Mark Fish, Patsy Fish, Philip Fish, Robert Fish, Alice Mislevicek, Jim Mislevicek, John Mittlesteadt, Joice Mittlesteadt, Judy Mittlesteadt, Tom Mittlesteadt, Beverly Oleson, and John Oleson. 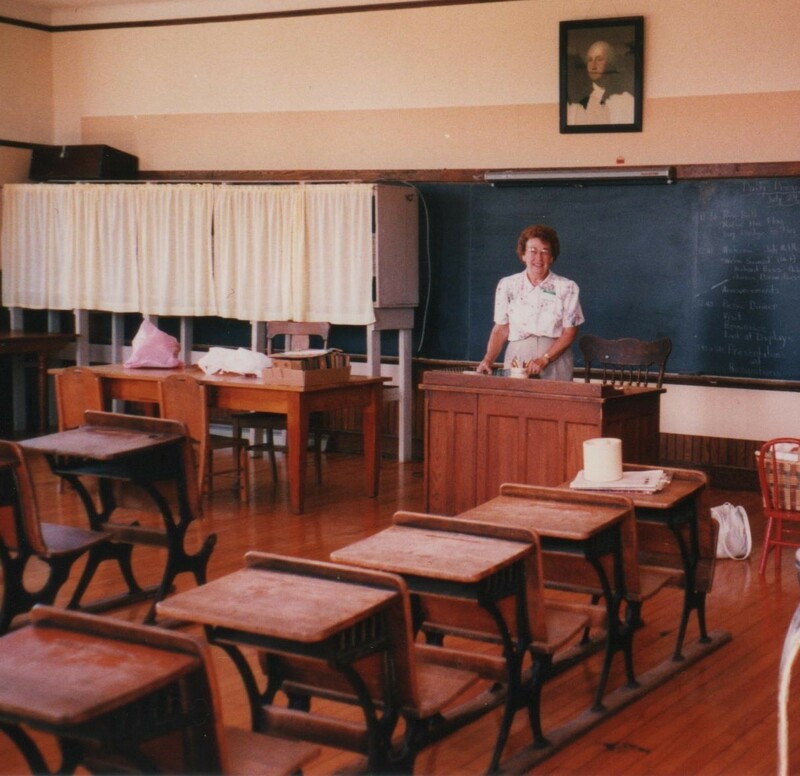 Elderene Hasz reenacting her 1952 classroom. District No. 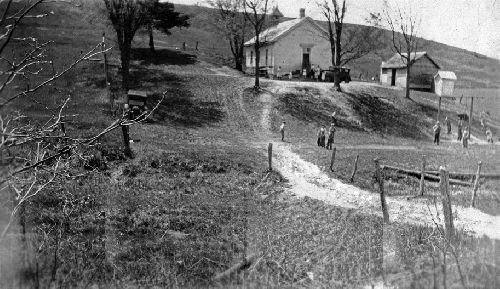 2 – the Pleasant Knoll School was also organized in 1852 in the County Road WD area. A new building was built in1875. District No. 8 joined this district in 1942. In 1948, this school district joined with the Town of Dellona and became joint District #3. The school closed in 1959. District No. 3 – the Kelly School was organized in 1853 in the County Road KK area. A new building was put up in 1872; electricity was put in in 1942. It closed in 1959; the material was used to build a house. District No. 4 – the Pleasant View School was started in 1856 along County Road V. This school was also called the Whitty School, Manion School, and Westerwald School. New buildings were erected in 1868 and 1916. This school became a joint school with the Town of LaValle in 1898. The school closed in 1962. District No. 6 – the Sand Hill School was organized in 1866 on Hoff Road. It was also called the Horkan School and Bennett School. New buildings were put up in 1880 and 1922. This school closed in 1957. 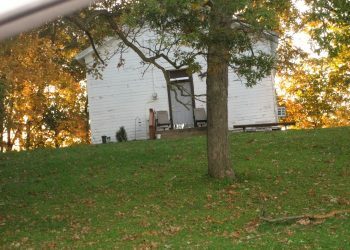 The school house was moved to the Lighthouse Rock Campground which is now the Lighthouse Rock Subdivision on County Road V and was used as a home. In 2012, the building was purchased by the Amish and moved to Tuckertown Road, Loganville. District No. 7 was started in 1887 and may have been on Menchoff Road. Area history books mention this as a “ghost district,” but town records list it as a school district. District No. 8 – the Curtain Lot School was started in 1861 along County Road K. New buildings were built in 1877 and 1909. This school district joined with District No. 2 in 1942. The school building is currently used as a home at S570 County Road K.
District No. 10 was a joint school with the Town of LaValle. District No. 11 – the Glen Valley School was started in 1860 along County Road H. It was also known as the Pelton School. A new school was built in 1862. The school closed in 1955. 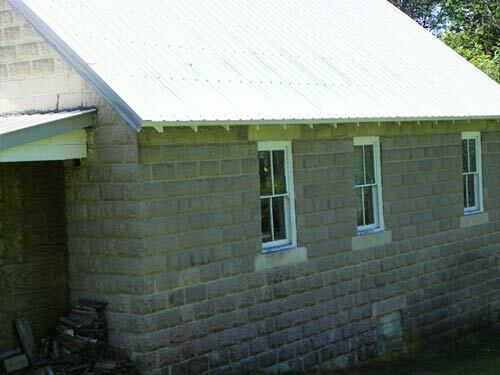 This was a joint school with the Town of Dellona. The Town of Winfield has been home to a few churches and monasteries. St. Patrick’s Catholic Church formed in 1867 on land donated by Martin Conway. In 1885, the church became a mission church of Sacred Heart Catholic Church in Reedsburg. In 1935, St. Patrick’s Catholic Church consolidated with All Saints Church in Dellona and Sacred Heart Catholic Church. Burials are still conducted at St. Patrick’s Cemetery at the intersection of County Roads K and KK. For a list of those buried at this cemetery, please visit www.interment.net. In the 1850s, the school in School District No. 2 was also used as a Congregational Mission church. In 1960, a Bible Baptist Church owned land in the town. A Kingdom Hall of Jehovah’s Witness was located at E6881 North Dewey Avenue from 1983 to 2006. This building is currently Swim Reedsburg which started in 2007. The Korinji Foundation built a Buddhist monastery on Hirst Road in 2010. 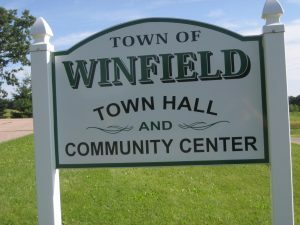 According to town board meeting minutes, there are some interesting facts about the roads in the Town of Winfield. In the 1860s, the town was divided into 26 road districts. Each district had a “road overseer.” In 1900, the road districts were reorganized into 16 road districts. In 1914 and 1915, there were motions made and defeated to develop permanent roads throughout the town. In 1943, the town board hired Sauk County to maintain its roads. In 1959, the town board approved the motion to start blacktopping some roads. In 1975, discussions started on having fire numbers and road signs; fire signs were put up throughout the town in 1976. Road name signs were put up in 1979. In 1982, a new fire and road sign system was implemented. In 1982, the town still had 12 miles of gravel roads. In 1983, the roads in the northern end of the town were black topped. Green Road was the last road in the town to be black topped in 2000. In 1937, a special election was held to vote on improving town roads and county highways by adding gravel and grading. The vote was approved. In 1942, Patrick and Harold Welch requested a town road be laid out. 1952, the board voted to build a road in Section 25. In 1956, Arlow Giles petitioned the board for relocation of a road in Section 34 which was granted. In 1958, William Daniels petitioned the board to close a portion of a road located in Section 17 which was granted. In 1959, the town board voted to start black topping town roads. Churchill Road was the first road to be black topped in 1959. Bass Road was the second road to be black topped. In 1960, the road was changed in Section 16 between Harry Horkan’s and Robert Greenwood’s. 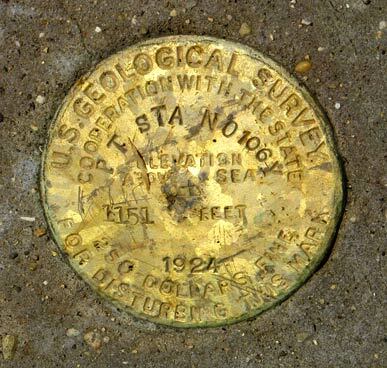 In 1963, the board spent $7,000 to finish black topping Old Town Hall Road. In 1964, the board finished black topping Gavin Road. In 1967, Skinner Road was black topped along with part of Farber Road. In 1969, Oleson Road (currently Dore Road) was black topped. In 1973, O’Connor Road (currently North Dewey Avenue) and part of Giles Road were black topped. In 1982, Hoff Road was black topped. In April 2009 (after a year-long process of research), an encroachment in right of way ordinance was approved to address the issue of unsafe objects in the road right of way. Due to the strong opposition of town residents, the ordinance was repealed in September 2009. When Willow Creek Road was developed in the 1970s it was considered a private road. The courts legally declared Willow Creek Road a town road in 2018. According to town board minutes, the Town of Winfield has had the following roads. We are not sure when some of these roads were first named or disbanded. As far as we can figure, most of the roads were named for people that lived on the road at the time. Road names printed in all capital letters are current roads in 2018. The following bridge names are mentioned in the town board meeting minutes: Dan’s Bridge (1900), E. Powell Bridge (1905), Ed Kelly Bridge (1899), Fisher Bridge (1934), Fuller Bridge (1948), Gates Bridge (1938), Hirst Bridge (1932), Menchoff Bridge (1934), Mittlesteadt Bridge (1937), Rathman Bridge (1934), Spring Creek Bridge (1900), and Ziech Bridge (1925). In 2017, our current bridge names are: Bass Road Bridge (built in 1930), Churchill Road Bridge (built in 1929 and rebuilt in 2005), and Skinner Road Bridge (built in 1924 and rebuilt in 2010). In 2011, the town approved some of its roads being used as all-terrain vehicle routes. The cost of putting up the signs and maintaining the routes is the responsibility of the Sauk Ridge Runners ATV Club. Roads included are: Biesek Road, Dore Road, Fuller Road, Gavin Road, Hirst Road, Longview Drive, Pine Rock Road, Seamans Road, Wadleigh Road, Wiese Road, and Woefl Road. In 2012, the ordinance was revised to include utility terrain vehicles. In 2013, these roads were also designated as ATV/UTV routes: Eggbrecht Road, Ekes Drive, Farber Road, Green Road, Heidrich Road, Hoff Road, Katuin Road, Kelley Drive, Kosch Road, LaValle Road, Luedtke Road, Menchoff Road, Old Townhall Road, Seep Road, and Wegner Road. In 2016, the following roads were added: Bass Road, Chadwick Road, Giles Road, Golf Course Road (from County Road H to the southern town line), Meadowview Road (from North Dewey Avenue to Chadwick Road), and North Dewey Avenue (from Giles Road to County Road H). In 2017, all town roads were designated as ATV/UTV routes. The 400 State Trail goes through the southwest corner of the Town of Winfield. In June 1993, the 400 State Trail was opened. It was developed on an abandoned Chicago-Northwestern Railroad bed that ran between Chicago and the Twin Cities. The 400 State Trail was named for the Chicago - Northwestern passenger train that traveled the 400 miles between Chicago and Minneapolis/St. Paul in 400 minutes. April 6, 1973: Robert Horkan has been clerk of the Town of Winfield for 31 years. Last Friday evening, he swore in his son, Pat, as the new town clerk. 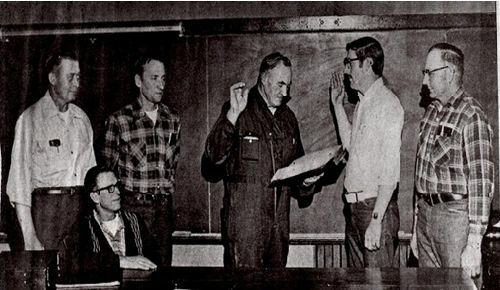 Other officers of the Town of Winfield are from the left: Supervisor William Luedtke, Treasurer Charles Bass (seated), Supervisor Harold Hirst, and Chairman Dale Farber. According to the town board meeting minutes, the following people served as town board members. We are missing the minutes from 1852 through 1867, and 1902 through 1913. The first section is by position and in chronological order. The second list is an alphabetical list. The first women to serve on the town board were Teresa Bass as clerk in 1989, followed by Linda Schommer as supervisor in 1995, and Pauline Brown as supervisor in 1999. The Town of Winfield is home to 10 century farms. The Century Farms and Home Program is an honorary awards program started in 1948 in conjunction with the state’s centennial celebration. To qualify for the award, the property must be in continuous family ownership for at least 100 years. Some of these farms are no longer owned by the same family, but they were at one time. Melvin & Jean (Giles) Albers S2204 County Road K 1848 ? For many years, the closest post office was in Baraboo and mail was delivered between Baraboo and Reedsburg once a week usually by foot. By 1854, the stage coach delivered mail between Reedsburg and Baraboo three times a week. In 1857, the railroad came as far as Wisconsin Dells, where the mail then came by stage coach to Reedsburg six times a week. In 1871, the railroad was extended to Baraboo and mail again came from Baraboo via stage. In 1872, the railroad came to Reedsburg bringing the mail directly to Reedsburg. The rural delivery of mail to the Town of Winfield began in 1900. 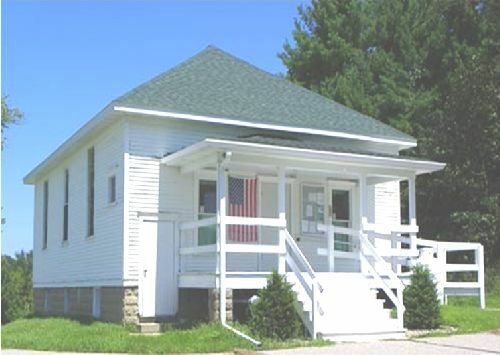 The town is currently served by post offices in Reedsburg, LaValle, and Lyndon Station. We know the telephone was invented in 1876. It is reported that the first phone to be installed in the town was in 1899. The Town of Winfield made payments to Reedsburg Telephone Company in the 1930s, but we are not sure for what purpose. We do know that this company was purchased by a Reedsburg resident in 1898. In the 1940s, the town made payments to a company called Commonwealth Telephone Company. To this date, there is no phone service at the town hall. Town residents recall that our town had phone service before we had electricity. In 2007, the American Transmission Company installed fiber optic lines for internet, telephone, and video service along Meadowview Road and Chadwick Road. In 2009, the LaValle Telephone Company installed fiber optic lines along roads in the northwestern part of the town. In 2010, the Reedsburg Utility Commission was awarded a grant to extend fiber optic service throughout the town. The Broadband Initiative Program Grant is a federal program to expand broadband service to rural areas. Services include high speed Internet, telephone, and cable TV. In 2018, most parts of the town have fiber optic service. In 2011, the Reedsburg Utility Commission obtained a 15’x15’ utility easement to install a fiber optics cabinet on the corner of the town hall property. In 2010, the American Transmission Company proposed to build an electrical transmission line from the LaCrosse area to the Dane County area; the line through the Town of Winfield was not pursued. In 2013, Alliant Energy presented plans to install a natural gas line along North Dewey Avenue, Meadowview Road, Chadwick Road, and County Road H. Later that year, Wisconsin Power and Light Company was granted permission to provide natural gas service. In 1935, the federal government established the Rural Electrification Administration to bring electricity to rural America. We know that the Oakdale Electric Cooperative was incorporated in 1937 to provide affordable electricity. According to Oakdale Electric Cooperative’s history, area residents petitioned, educated, and organized residents in order to bring electricity to rural areas. Interested residents secured signatures of those wanting electricity and obtained pledges of land for power lines to be located. Their history also indicates that area residents helped clear the right of ways and put up the power lines. Records indicate the first residence to have an electric lighting system was installed in 1913. In 1941, the majority of town residents were receiving power from Oakdale Electric Cooperative. The town also made payments to Dairyland Power Cooperative starting in 1955. 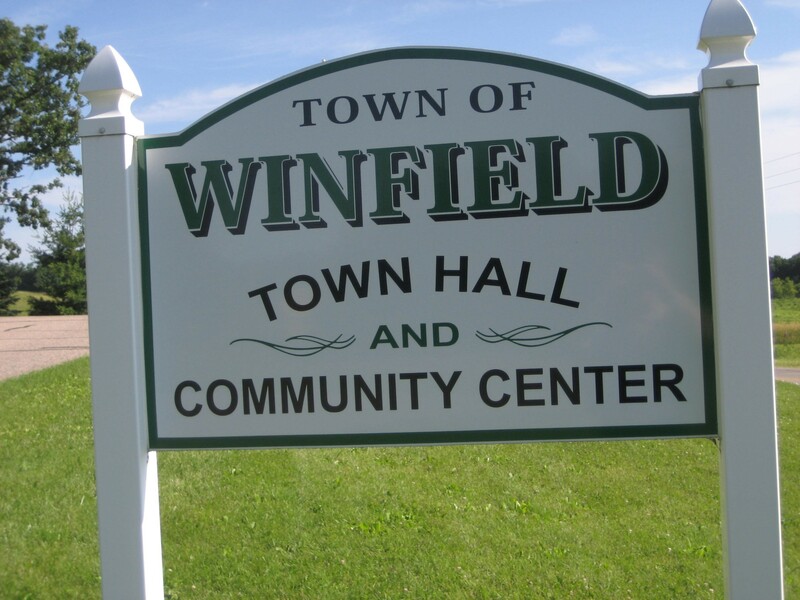 We hope you have enjoyed this history of the Town of Winfield. It has been a very interesting project to work on. Many thanks are extended to the residents who shared information for this project. If you have other items you would like to include, please contact any member of the town board. Good Old Golden Rule Days, A History of Sauk County Wisconsin Country Schools. 1994. History of Reedsburg and the Upper Baraboo Valley. Krug, Merton Edwin. February 1929. Reedsburg Remembers 150 Years. 1997. The History of Churches – Sauk County, Wisconsin Featuring “Ghost Churches.” Bittner, Bernadette Durben. 1977. A Brief Look at the Reedsburg Outdoor Club by Bill Friede written in 1980, and submitted by Don Lampke. Town of Winfield Board Meeting Minutes. Information provided by: Marlan Craker, Ronald Churchill, Philip E. Craker, Keith R. Pelton, John Horkan, Marilyn Hawkins, Alice Roloff, Mary Jean Biesek Symak, Judy Gurgel, and Karyn Driessen (niece of Merton Krug). Photos provided by Bill Bass. Kelly School photo provided by Don Schrank. Drawing of the town hall on the front page done by Lucy Schonfeld. Pictures of the 1994 reunion at Hay Creek School provided by Joice Mittlesteadt Meyer.